Yannick was born in Kinshasa, the capital of the Democratic Republic of Congo, and his family moved to England when he was seven months old. His father had played international football for the Democratic Republic of Congo and his cousin is former Newcastle and Portsmouth player Lomano LuaLua. He was brought up in London, but his football career began at the age of 16 with Diamonds youth set up. He only spent around four months with Diamonds before moving to Hillingdon Borough and then to Maltese side Floriana in the summer of 2007. He returned to the UK, and had a successful trial with Plymouth Argyle signing a two year contract despite offers from Austrian side Sturm Graz and German club Hoffenheim. 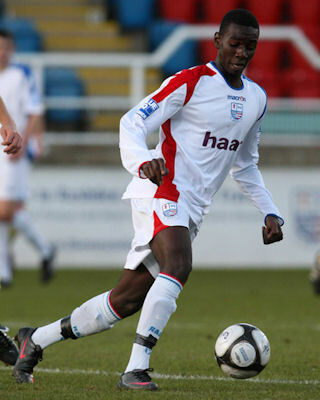 Yannick joined Diamonds on 21st November 2008 on loan from Plymouth until January 2009 and he made his Diamonds debut in the 2-0 win over Eastbourne Borough the following day. 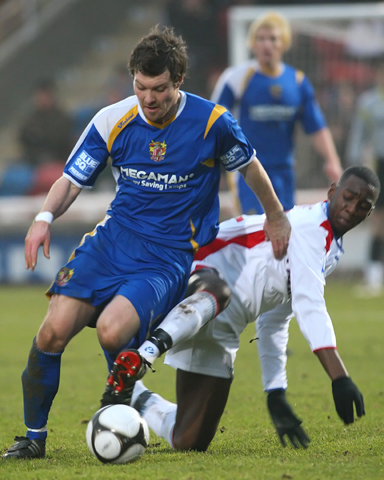 His loan period was extended for a further month at the start of January 2009 but he returned to Plymouth on 22nd January. He immediately went out on loan again, this time to Barnet where he remained until the end of the season. He returned to Barnet at the start of the 2009/2010 season for a half season loan, returning to Plymouth Argyle on 8 January 2010. On 6 June 2011, he was transferred to Championship side Bristol City for an undisclosed fee. After just 1 goal in 25 games during the season, mainly as a substitute, Yannick handed in a transfer request and joined Championship side Crystal Palace for an undisclosed fee on 24 August 2012 on a three year deal. He helped the Eagles to gain promotion to the Premier League in 2014. He moved to Everton early in the 2016-17 season but picked up a serious injury three months later. He returned at the end of the 2017-18 season, but was then allowed to go on a season long loan with Aston Villa in the Championship for the 2018-19 season. That loan was ended in January 2019, and he went to Anderlecht for the remainder of the season. His Wikipedia page is here.